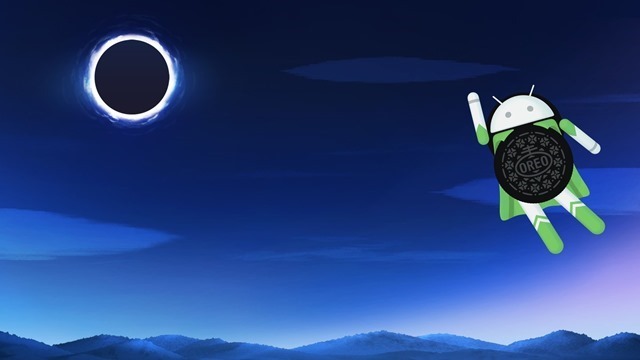 Android 8.0 has been officially announced, and it is indeed Android Oreo. According to the Mountain View company, Android 8.0 is smarter, faster and more powerful than Nougat. Google made the announcement late last night, and here is what's new in the latest iteration of its operating system. Picture-In-Picture allows you to view two apps at once, not like multiwindow, but like a video call app. See yourself in a small window on Skype, it is kind of like that. If you have app icons on your homescreen, and the apps have notifications. You will see notification dots on them (like badges) , and you can tap and longpress on the icons, which will let you view the notification right on the homescreen itself, and you can reply to them, or swipe them away to dismiss them. You can see that in the above screenshot. P.S: This feature is also available in Nova Launcher for devices running on Android 7.1.1. 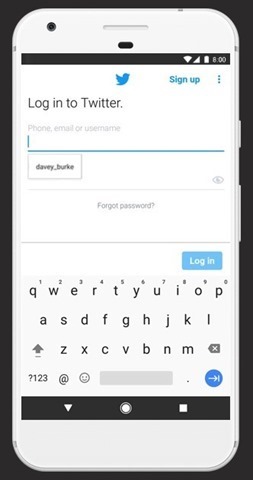 Android Oreo supports autofill of logins with your permission for signing in to apps.This is like LastPass on computers, where the browser (and the password manager extension) will automatically display your login info to allow you to quickly login to websites. P.S: LastPass beta on the Google Play Store now supports this feature on Oreo. This is Android's way of combating malicious apps, which purges the Play Store of bad apps. It also actively scans your devices for malware, and also has a built-n Find My Device option to locate your lost device, or lock it and display a message on the lock screen or completely erase all data remotely. This also offers Safe Browsing in Chrome to prevent bad websites. 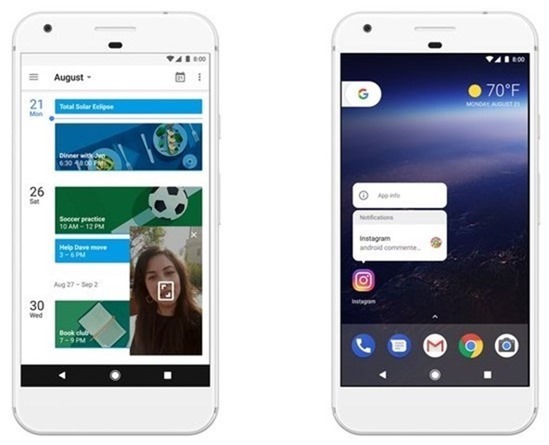 Android Oreo boots twice as faster on Pixel, and supports Android Instant Apps allowing you to view apps in your browser before downloading them. Android Oreo will reduce the background activity of apps which you don't use much. The navigation bar can be used like an accessibility button for magnification, select yo speak etc, while accessibility services can optimize the audio for users with disabilities. There is a new adaptive icons scheme, which allows app developers to have consistency of their icons on devices. Devices with the ambient screen function will now support notifications with larger fonts and app names. Notifications from apps can be snoozed (similar to Inbox) for a specified period of time. 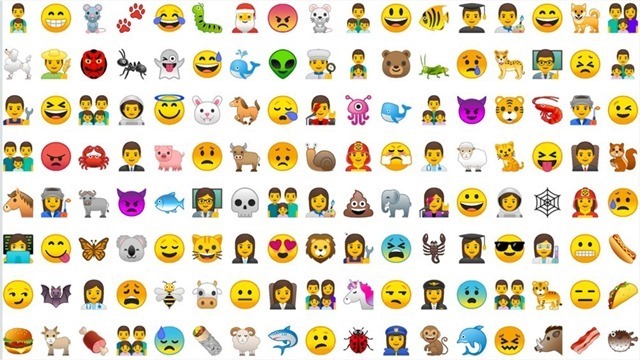 Android 8.0 has re-designed emojis (bye blobs), and over 60 new emojis. They look pretty cool. A wizard, T-Rex, Fairy, and a brainstorm emoji can be seen here. This is a new feature in Android 8.0, which will help recover Phones which are stuck in a boot loop. Essentially what this does is try to reboot the device in recovery mode, and will offer an option to perform a factory reset. Android 8.0 Oreo is available for the Google Nexus 5X, Nexus 6P, Nexus Player, Pixel C, Pixel, Pixel XL, including devices from Telstra, Rogers, TMO, Sprint, USCC, Project Fi. Back up your data to your computer, before flashing the new firmware. You can download the Android 8.0 Oreo system image from the official website and follow the directions given there to flash it on your device. Some reddit users claim that those who are using the developer preview of Android 8.0 can get the final Oreo update by un-enrolling the device from the preview. You can also force the update by enrolling and un-enrolling the device from the preview. We cannot say for sure whether this works though. 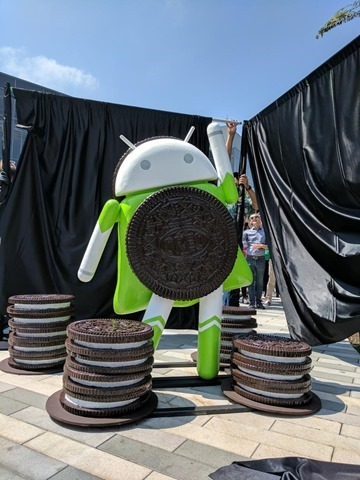 This is the Android 8.0 Oreo Statue at Google’s HQ. Google says it is working with the following companies to bring Android Oreo to their devices: Essential, General Mobile, HMD Global Home of Nokia Phones, Huawei, HTC, Kyocera, LG, Motorola, Samsung, Sharp and Sony. Android Oreo easter egg image leaked ahead of Android 8/0 launch.